We're loving this coverage in Bridal Guide magazine this month. 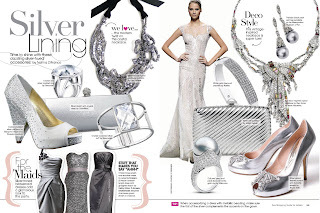 Naima DiFranco, the Fashion and Beauty Editor at Bridal Guide is a great loyal follower of Aruna Seth and we'd like to thank her for putting our shoes on the page! 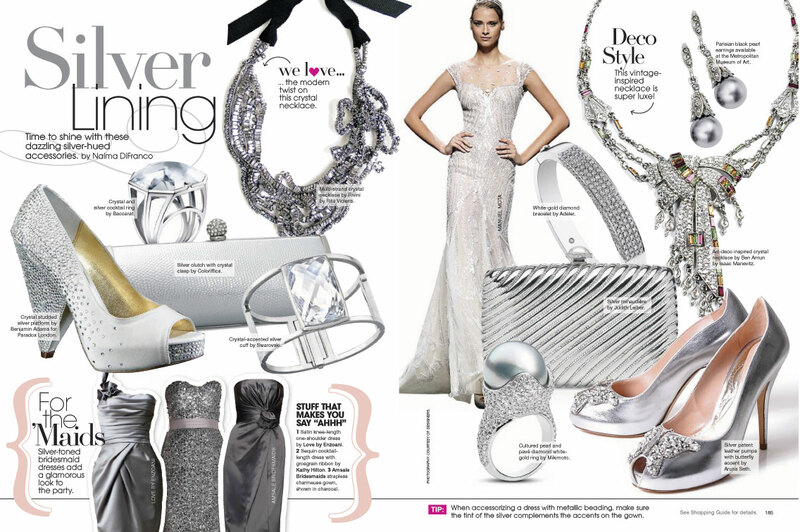 Our silver butterfly shoes look fabulous on their fashionable Silver Lining page! 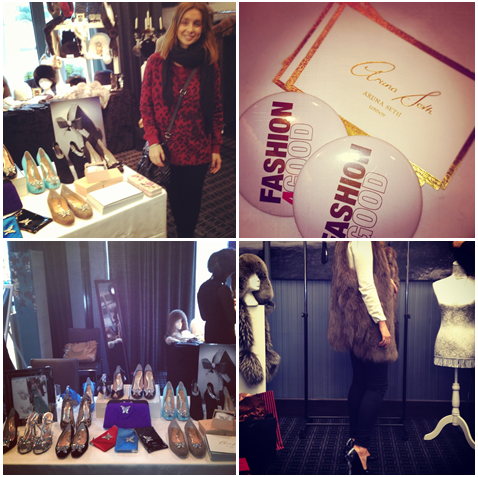 Today was a lovely PR day, I got out the office to meet journalists in London and we received a great response to our Aruna Seth shoes. First off I met celebrity journalist Amy Brookbanks from NOW Magazine, we were introduced in LA during the Oscars and she is often seen sporting a pair of Seth's at parties. In the latest issue of NOW Magazine, Amy got to do a candid interview with Leandro Penna, Katie Price's ex boyfriend and I was keen to hear all the details. Aruna Seth was in Singapore last week holding an event at the luxury Four Seasons Hotel. Bloggers and fashionistas from Singapore turned up and were blown away by the new season collection. They enjoyed delcious drinks, and yummy edible bites such as Aruna Seth biscuits and British red velvet cupcakes. They got to meet the designer personally and enjoy trying to the shoes. 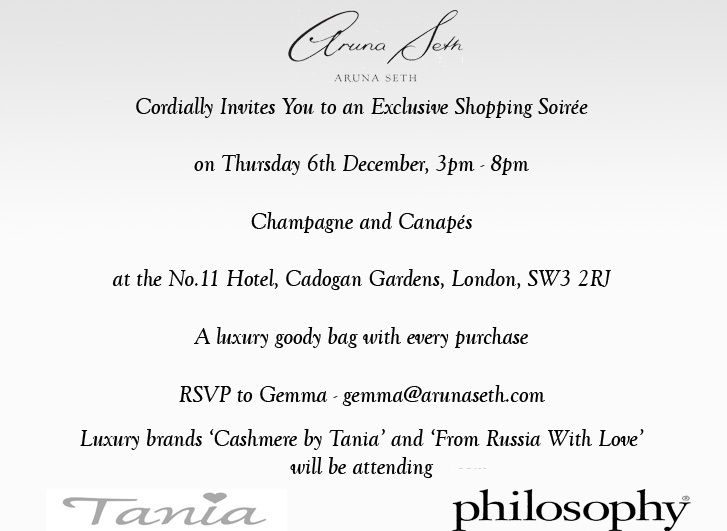 Look out for the next Aruna Seth event which will be at the No.11 Hotel in London on the 6th December - email info@arunaseth.com for futher information. 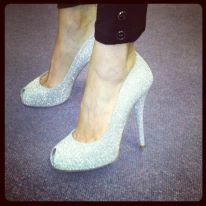 Come and get your sparkly shoes early for the Christmas parties and spoil yourself at our luxury shopping event! 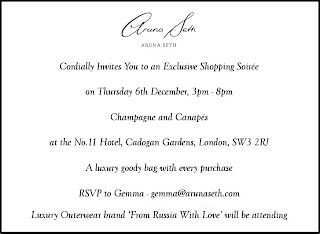 Join us for a festive evening of Champagne, mulled wine and cupcakes. 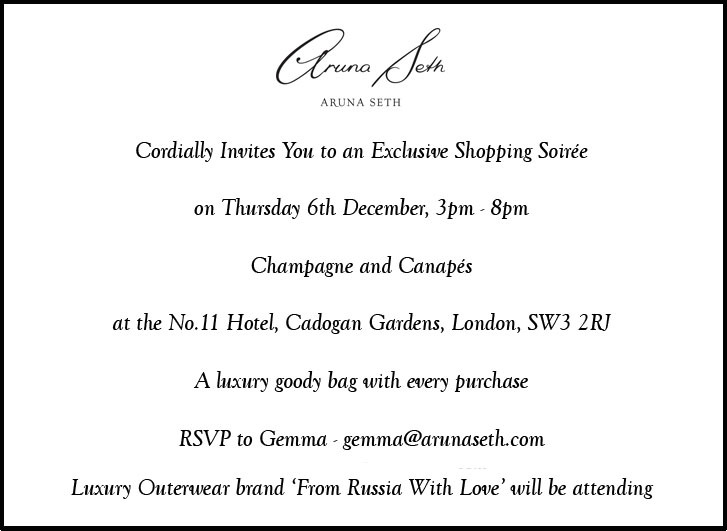 A luxury goodie bag worth around £150.00 will be given as a Christmas present to purchasers of Aruna Seth shoes on the evening. 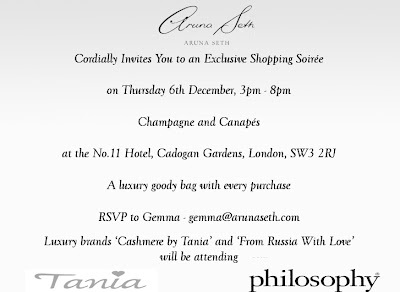 Our goodie bag contains Philosophy products and Aruna Seth swag! Aruna Seth the designer will be available for personal shoe appointments and advice on fittings on the evening so contact us to reserve your spot! 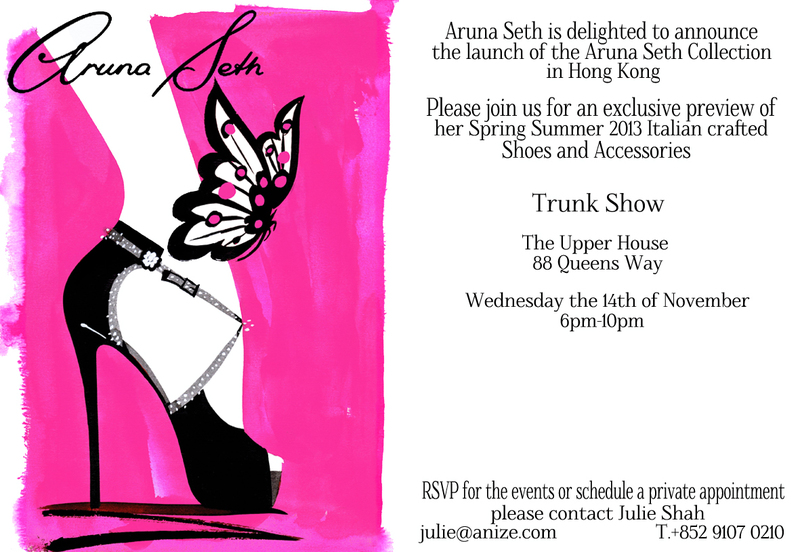 We look forward to welcoming you at No11 for an evening of shoe fun and refreshments! 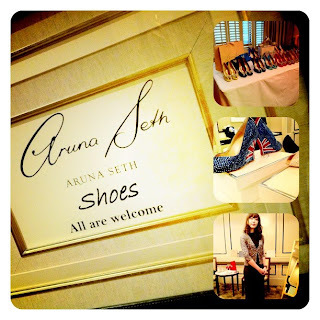 Lots of love the Aruna Seth team! The champagne was flowing last night at the Harvey Nichols shopping event. Concessions varied from 15-50% off. 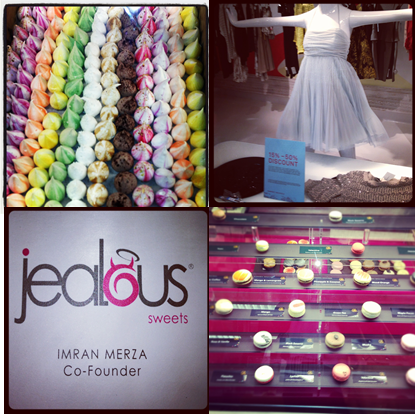 I found myself lusting over everything, but in particular these goodies! Meringues by the meringue girls, macaroons by Harvey Nichols in all sorts of luxurious flavours and sugar-free/gluten free vegan gummy sweets by Jealous Sweets. Christmas is around the corner!!! 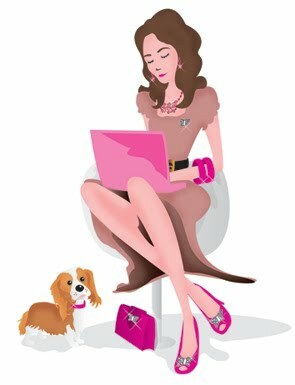 All the Christmas parties and what shoes will I be wearing to all the events coming up! I will be sparkling on the dance-floor! 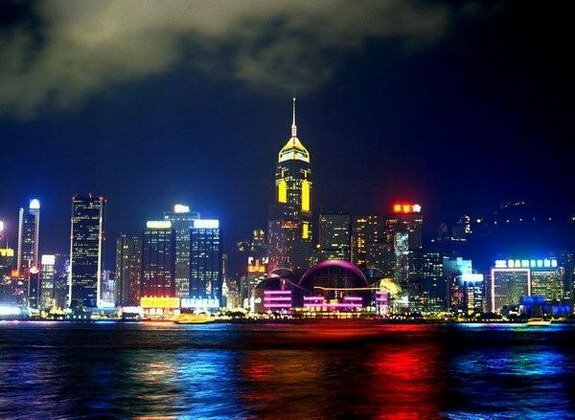 We enjoyed a very successful trip to Asia, we organised a Hong Kong event at the Upper House Hotel and in Singapore we used the Four Seasons Hotel. The ladies in Asia are very glam, love shopping and love to buy shoes! 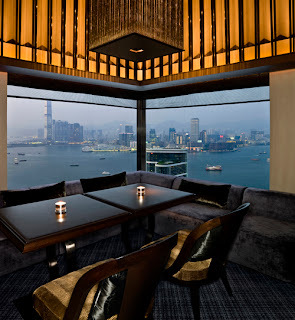 During our Hong Kong trip our highlights were viewing the Victoria Harbour sky-line, eating healthy Vegan food at a cafe called Mana on Wellington street and drinking cocktails at Sugar Bar on top of the EAST hotel. Our event was one of the busiest we've ever organised, it was over subscribed and over one hundred and fifty people attended! 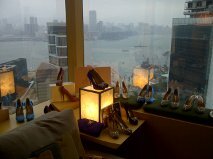 Plenty of Hong Kong press visited from Sassy HK, Butterboom and Dress me Blog Me! We will be back soon Asia, you rock! 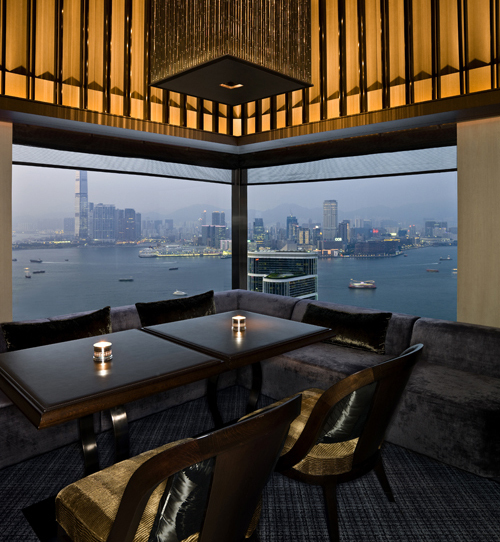 The Upper House Hong Kong! Every gorgeous shoe design starts with a creative idea for a new ‘shoe baby.’ Designers find inspiration from a variety of sources. 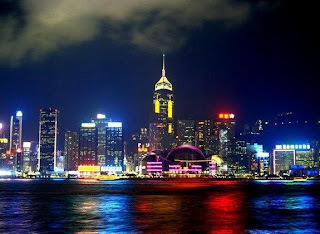 In fashion, designers are often constantly travelling across the world for ideas and inspiration. The rich fabrics and colours of India might influence the bright gold and red tones in one collection, the rose coloured hues of Marrakesh the jewel of Morocco might influence Autumn-Winter designs. Most designers carry around a notebook with them at all times to quickly scribble down an idea for a new design and you’ll often hear the stories of insomniac designers so passionate about shoes they’ll be up in the early hours of the morning drawing a design from their dreams or thinking of ideas in the shower. Looking for the best adornments and fabrics to craft designs, a designer may pick up crystal roses in China, Chantilly lace from France, leather from Italy and ribbon from Spain. 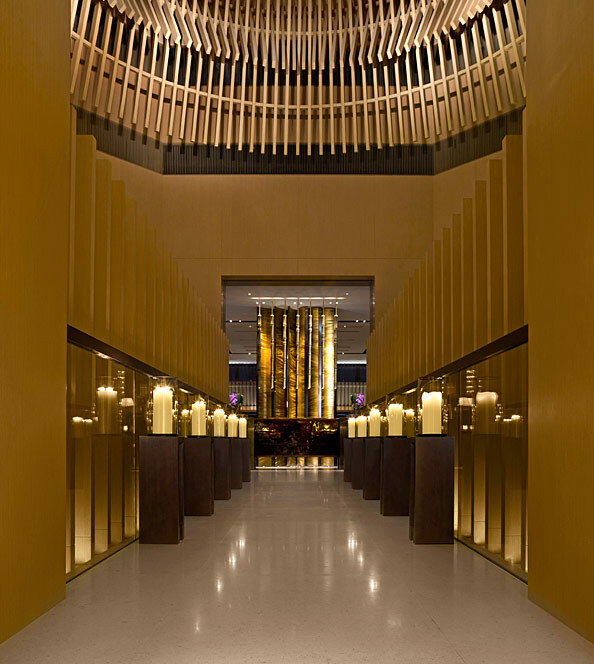 High-end designers will source the best quality materials and adornments for their shoes from across the globe. Some lucky people have the lovely ‘job’ of travelling the world for inspiration and ‘shopping’ in stores across the globe to research the designs of other designers for ideas for new collections. A technical term every shoe lover should know is ‘last,’ a three dimensional model of a shoe for the fabric to be fitted around. Once a design has been drawn and decided, fabric is cut much like you cut the outline of a dress in dress-making into shapes to create the outer shell of the shoe, this is called the ‘Upper.’ To get even more technical, the side pieces are called ‘quarters,’ toes ‘vamps’ and the heels ‘counters.’ Usually a paper version will be cut first to see if the design will work across the last. The department responsible for this function is often known as the ‘clicking or cutting department.’ The level of skill needed to cut material into shape is detailed work, materials are expensive and non needs to be wasted. A machine called a skiving machine is used to thin the edges of the material so it’s easier to sew together. 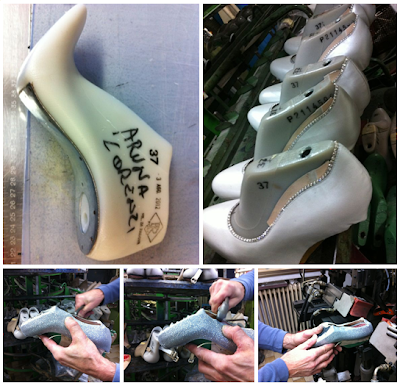 The shapes of the shoe are sewn together and flattened out to give a smooth finish. 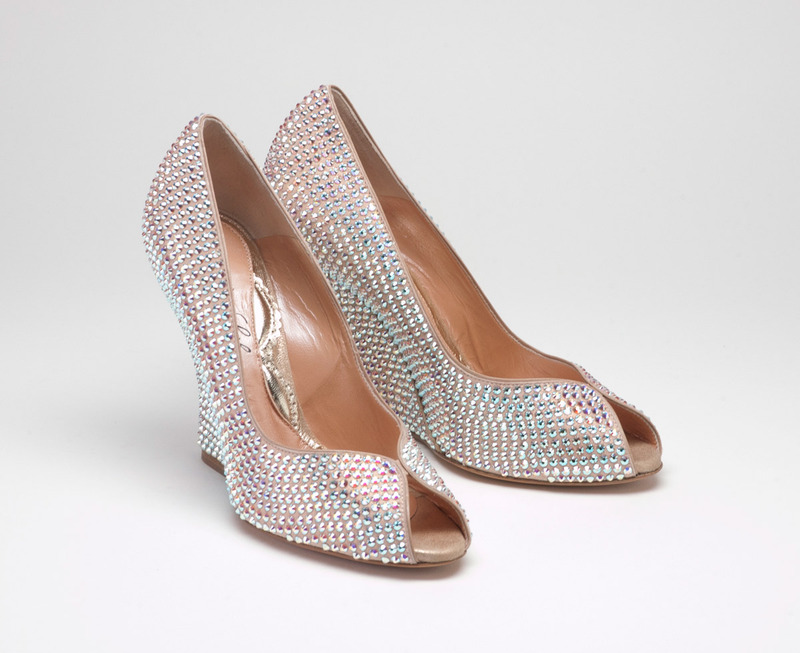 Designer shoes are often made out of delicate and fine materials, the satin’s will be the thickest cut satin’s, there may be Swarovki element detail in the fabric or Chantilly lace. Craftsman with year’s worth of experience will be creating designs and will elegantly handle the fabric to make sure the design comes out perfect. The next stage of the process is the last and cut-fabric coming together. The uppers are moulded and the shoes are put through a heat setter and pressed around the hard mould of the last into the shape of the foot using the last. The insole is stitched to the bottom of the last, with designer shoes in most cases the sole is made out of delicate soft leather. The upper and all the surplus material is trimmed off the seams and the heel is attached to complete the stitching of the shoes. The soles are stuck onto the last as a separate component and glued on to the upper via the last. Once the shoes is finished if you remove the last it make’s space for a foot. Designer shoes will be made to perfection and the final part is called ‘finishing’ the beautiful shoe. Depending on the type of material, the leather will be buffed to perfection, satin cleaned delicately to discourage markings from the marking and cutting in stage one. There may be some wax, polish or stain removal involved to make sure the shoe is faultless. All designers touch the inside of the shoe with a delicate sock of the designers branding. In Aruna Seth’s case she goes one step further to put in a sock of plush leather padding, a designer shoe for long-lasting wear. The sole of the shoe will be buffed and stamped with a embossing of the brand, in Prada’s case they decorate the sole with a gold plagued Prada and in Louboutin’s case as everyone knows, the trademark is red. To give a designer shoe the extra piece of wow-factor, all designers will care about the home of the new ‘shoe-babies.’ Shoes are special and they deserve good living quarters so most designers invest heavily in the beds the shoes lie in with, thick good quality hard-board creates the box, no expensive spared on tissue and ribbon to treat every shoe as something to be treasured. We met up with Cashmere By Tania to find out why Pippa always teams our bags with their beautiful cashmere collection... What do you think? It's the weekend! 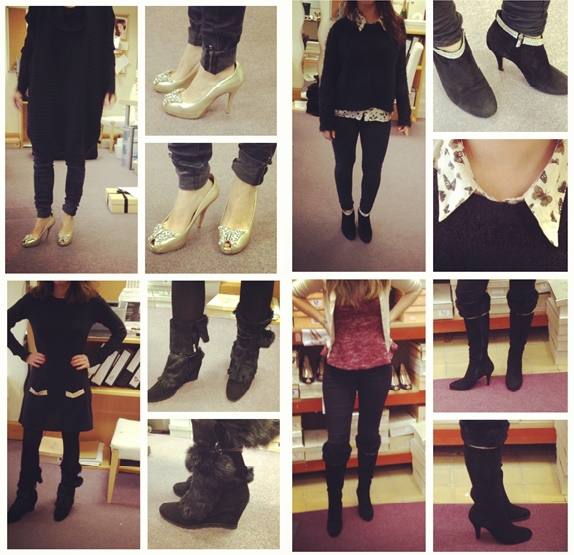 Have a look at what some of our staff will be wearing out this evening.... which is your favourite look?